Since 2006 APS marine alternators have powered hundreds of ocean-going vessels over the finish line, supporting performance and comfort features with dependable output at low RPM. APS boat alternators also will safely charge lithium batteries at high output without causing damage. In addition to high output alternators, APS also design-builds onboard power generators (also called marine auxiliary power units or marine DC generators) for recreational, commercial and industrial marine applications. Steady as she goes. APS boat alternators deliver dependable output at idle RPM to meet 24-hour on-board current demands. In some cases, APS alternators have enabled boaters to swap gas-powered equipment for electrical versions, thereby enhancing safety and cutting total vessel weight at the same time. Bespoke design. 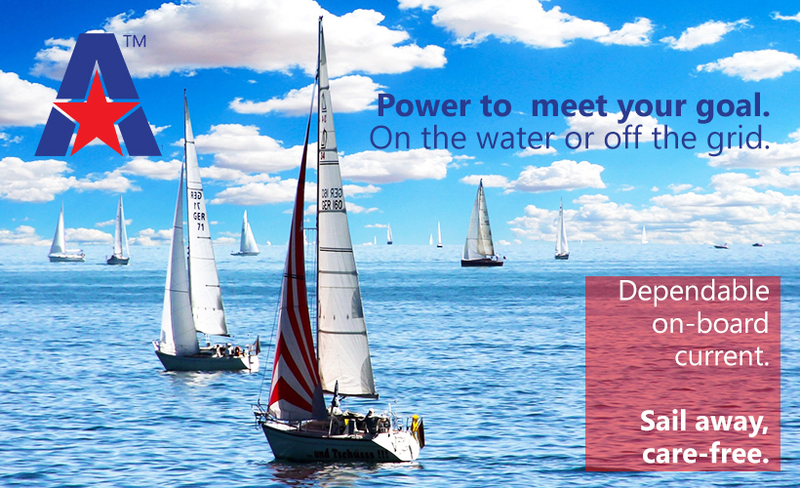 Created to meet client specifications, APS auxiliary power units for boats—also called marine DC generators or onboard power generators—provide a source of reliable electrical power for a diverse array of unique marine applications. APS provides auxiliary power for boats to serve a variety of purposes, including recreation, commercial and industrial use.